Our download sets feature up to 40 A4 sheets and most sets have projects using the sheets. Stick it! 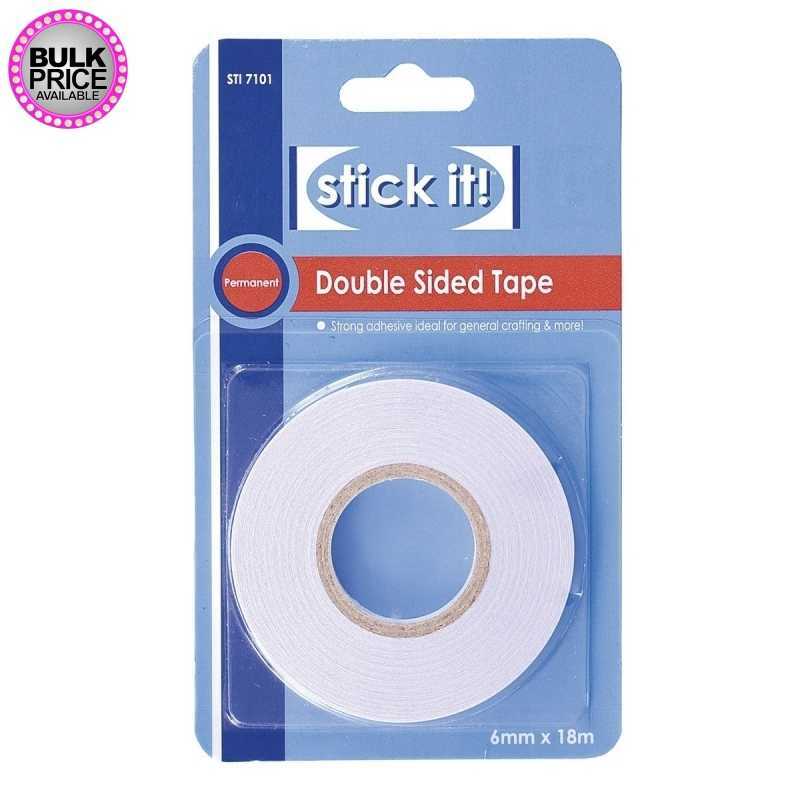 6mm x 18 metre roll of double-sided tape. Permanent adhesive. 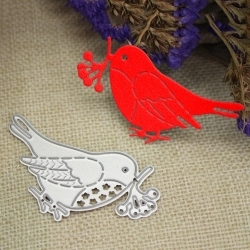 Lovely little steel cutting die depicting a robin with mistletoe/berries, 6cm wide.Suitable for most personal die-cutting machines. 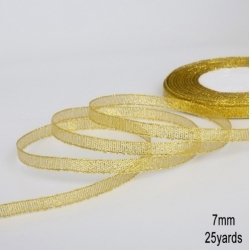 Fantasic value roll of 25 yards (22.86 metres) of 7mm metallic ribbon.Great for Christmas designs and for Weddings too. 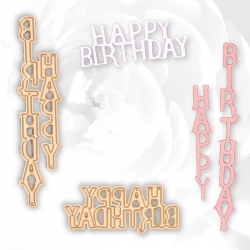 Pack of 2 Happy Birthday metal cutting dies, both a good size - the vertical one is 11.5cm tall and the horizontal one is 7cm wide.These are absolutely invaluable for creating great birthday designs!They fit most personal die-cutting machines. 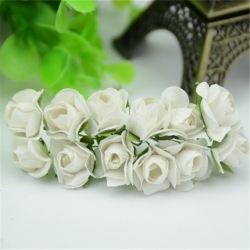 Lovely mini paper roses on stem, each with an 18mm head size and 8cm stem approximately.BUY 12 BUNCHES (144 flowers, same colour) AND SAVE 50%! Invaluable universal metal cutting die featuring 'With Deepest Sympathy' wording in a pretty frame.Fits most personal die-cutting machines. 9.5 x 7.3cm. 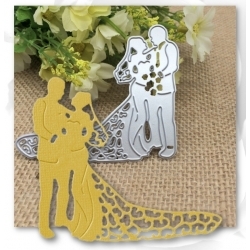 Metal cutting die featuring a bride with a long, pretty train and her groom.6.5cm tall x 7.5cm wide. 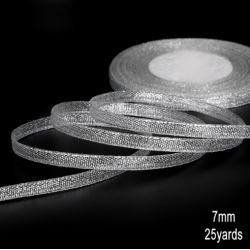 Great for Wedding cards and invitations.Fits most personal die-cutting machines. 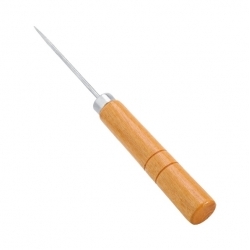 Handsome wooden-handled pokey tool, invaluable craft box addition.Approximately 12cm long. 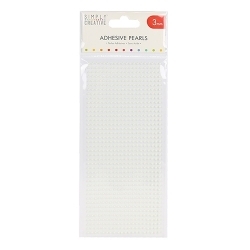 Embellish your papercraft projects with these pretty Simply Creative 3mm ivory pearls. This pack contains 800 round self-adhesive pearls. 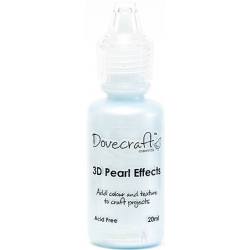 Add dimension to your projects with this Dovecraft Pearl Effects 3D paint. 20ml bottle with precision nib.